Your home’s indoor air quality is important not only for the comfort of your family but also for their health. Volatile organic compounds (VOCs) are harmful substances that are common in many homes, brought in via a multitude of household items, including many cleaning and craft supplies. Lowering the level of VOCs can help dramatically improve the indoor air quality in your Clearwater, Florida, home, making it healthier and more comfortable. Here’s a guide to reducing the VOC levels in your home to help you on your way to cleaner indoor air. The first step toward reducing the amount of VOCs in your home’s air is to locate the sources of the harmful contaminants. 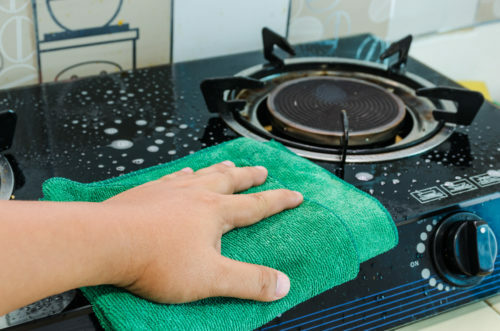 While it’s impossible to provide an exhaustive list of every household item that can emit VOCs, knowing the general categories can help you find these items. Chemical-laden cleaners, car products like oil, paint thinners, aerosol chemicals, spray paints, cigarette smoke, and formaldehyde are some of the most common sources of VOCs. Often, these are limited-use items, but VOCs can be introduced by construction materials that contain them, like wood floors and wall paint, as well as through lifestyle choices such as smoking. Once you’ve located the sources of VOCs, it’s time to contain them as best you can. Some VOC contributors, like wood floors or wall paint, can’t be contained but it helps to be aware of how they release dangerous chemicals into the air, typically due to poor humidity control. Many others, however, can be appropriately contained using airtight seals to keep the VOC contaminants inside. Many home improvement stores sell containers that work well to keep these compounds safely sealed away. If you must use items that contain VOCs in your home, ventilation can go a long way in keeping the contaminants from lingering. Running your HVAC system while using them can help, as can separate fans or ventilation systems. Even an open window can make a huge difference. If you already have unhealthy VOC levels in your home, there are several steps you can take to improve them and restore your home’s indoor air quality. Besides the steps listed above, you can invest in air purification systems that work wonders by removing VOCs from the air and replacing contaminated air with clean, fresh air that will help make your home more comfortable and improve your family’s health. Many houseplants are also very good at removing VOCs from the air, especially formaldehyde. Ficus, spider plants, ferns, and lilies are a few examples. If you have pets, be sure to check whether the plants are toxic to your four-legged friends before bringing the plants into your home. The experts at Advanced Cooling Systems can help you improve your indoor air quality and reduce VOC levels. Give us a call at 866-827-7662 to discuss our indoor air products today.